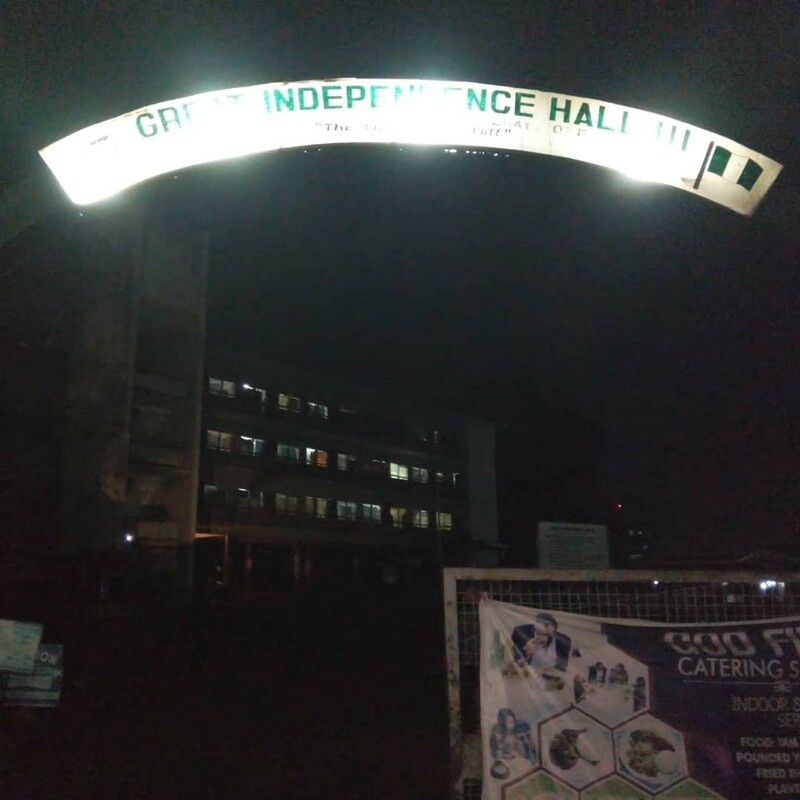 The Executive Council of the Great Independence Hall, University of Ibadan, Ibadan, through the Office of the House Secretary, recently installed light bulbs in the hall’s arc. The bulbs, whose installation was supervised by the House Secretary, Mr. Olaogun Temitope, were put in place to bring out the beauty of the arc. In addition to this, work has started in the hall to fix faulty rails and put new ones in places where rails are no more. This, which was noticed about noon on Friday, has stirred conversation and excitement among Katangites. While speaking with a member of the hall’s executive council, he said more changes would come, which would include replacement or restoration a functioning water closets, shower taps, and flow of water on all floors.